Some fresh idiea came up to my head today. I think our caves and generally whole generated dungeon looks quite... dull. Except few ocasional entrances and rooms its mostly just plain rock. I have few ideas which may add to what is already suggested by others. The main mechanics my ideas could use may be something that i call natural rooms - those are thechnical rooms generated in the dungeon owned by nature itself. Pure neutral, just like rock is. It would be generated randomly across dungeon, regardles of enviroment or biome mostly. Player shouldn't be able to build one. At least not directly, and without special resources and/or spells and researches. Those rooms would offer various buffs or debuffs, some unique functions, or just stay an eye candy, depending on which one we find. Of course many of them will be guarded be their unique creatures, but some may just lure wandering neutral creatures (not always hostile), and some may just spawn some on their own, or just none creatures at all, sometimes efen repel everyone away. type that in google and you've got ton of cool refferals. I imagine those shoorms in game as an occasional oasis-like area with few big ones in the center and many small shrooms around on the floor and walls. Whole area would be covered in mycelium - greenish/purplish organic coat with glowing veins coming out from big shroom-trees. The shroom oasis could generate everywhere, but will tend to keep distance of at least few blocks from lava - fungi doesn't like dry and hot environment. Player won't be able to build such a place directly, but may try to grow his own shroomgarden if he can't find one, or destroyed previous one for example. In order to do that he will have to collect some mycelium from another shroom area. Alternatively some bog-earth/humus/peat from overworld/underworld swamp area (assuming such places would be implemented) and then use spell on it - let's call it Decay (fungus decays things it's growing on right?). The spell itself could bring some sicknes or other nasty things to creatures who get into it's area of effect while the spell is active. It will last few minutes, 2 or 3. When it's effects are dispersing there would appear some mycelium converting the swamp earth. Once player have mycelium he have to cast another spell - growth/magnify for example. 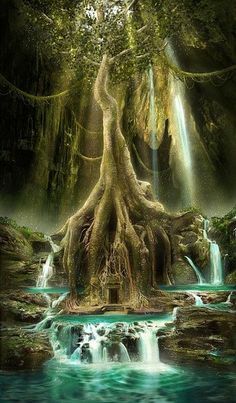 The spell would make any creature bigger for some time, make roots grow, antroots mature faster, and overworld trees regrow too. It would also regrow glowing shroom from mycelium. It have to be cast soon after, because mycelium would dry out and die after few minutes if there is no big shroom nearby. Once big mushroom is regrown, it will spread mycelium a few blocks around it. But if it's destroyed mycelium will die soon after it.There also can be other ways to grow shrooms - there was some ideas about magic crafting, alchemy and lot more, so it doesn't have to be spells. What would they do? Well... glow of course apart from that it small shrooms growing on mycelium would serve as food source for some creatures or underground kettle-rats. Alchemy is another obvious use, which would provide poison gas flasks for traps maybe. Mixed with sulphur it could be used as sparkling lure to attract amused enemies into an ambush. It would be rather calm creature - it's slow like any other snail, so not eager to hunt. But it will attack if there is no small shrooms in it's reach (out of food) or when big mushroom get's attacked (out of food), or just when you attack it directly. They will not chase enemies too far from shroom - 6 blocks for example. Slugs themselves can be another way to collect rare materials - toxine sack, slime, eye rods, some meat (everything tastes like chicken... except chicken ). No bones and leather though. The bigger the snail the more resources. Smallest slus would leave no useful resources. And some, like venom sack, would be dropped only by adult slugs. Generally there would be no more than one slug per shroom tree. The more big shrooms close to each other the faster the spawnrate. At first slug would be small and come from the ground, or fall from under the big mushroom's cap. With time it would grow bigger - few minutes before it's adult and then level up by time for example. Growth rate should be rather slow. If you plan to collect shrooms only and keep the slug, it will eventually grow to be powerfull defender (unless imps take all of it's shrooms). With shrooms themselves and their defenders shoomgarden could be organised by the player in the form of a farm (either collecting shrooms, or killing snails, or both). Someone suggested mushroom people. Those could spawn in a group if you cut one of big mushrooms. Or maybe just spawn at DM if you control enough mycelium/shroom tiles. Big shrooms also would divide into few species. Most easily distinguished by color they're glowing, and sometimes by shape. Some will glow green with standard cap. Others will glow orange with cone like hed, and others will be similar to minecraft's netherwart. Others can have their cap inverted in a form of chalice. 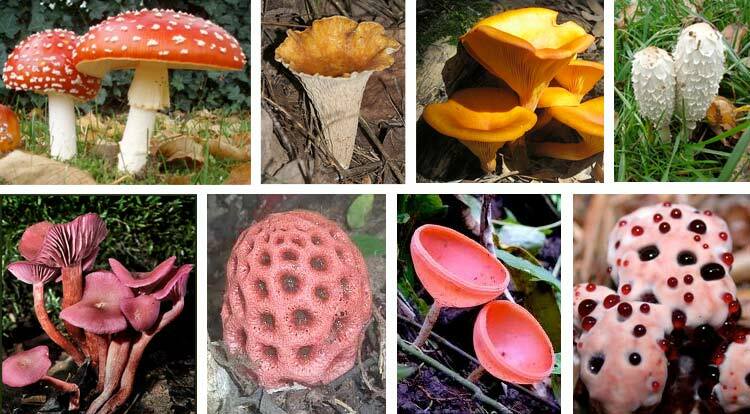 just type exotic or unusual mushrooms or whatever into google. Blue for example would be completely neutral nonhazardous type - no special attributes. Green would make occasional toxic gas clouds to appear (and lot more if attacked). Orange would spread sickness/illness to creatures that are too long in it's reach (most nasty one as illness would have chance then spread to each creature met by infected creature - hostile or not). Purple shrooms of madness would influence minds with random efects (or maybe more types of shrooms for each effect) - amok: creature considers ANY other creature as enemy. Fright: creature is frightened and runs away for some time. Courage: creature will fight to the death, not running even if close to dying. Peace: consider everyone as friends even if they are attacking. Red would provide rejuvenating aura that increases health regeneration greatly. Yellow would slow down creatures and sometimes force them to sleep - the more tired creature is the more probable it is affected by the mushroom. Creatures already forced to sleep won't wake up if attacked. However creature in battle will always resist urge to sleep. After some time (slightly longer than usual) creature would wake up fully rest (if still alive). White shrooms would clear any negative effect from creatures - poison, sicknes, madness, slow, bleed etc. Some shrooms effects are against each other, so shrooms of different types can't grow close to each other. If player manage to grow another big shroom next to the first one, then it will be of the same type. Finally if you don't like some shroom in your dungeon, then you can pour some lava next to it - all will burn, and no monster would turn hostile against you. Here is another concept. Rather simple comparing to the previous one. Base of the swamp area would be mud or bog tiles. Either as block itself(preferably), or just placed as room on rock tiles to imitate layer of wet earth on it. Whole area would consist mostly of bubling plains of mud, moss patches, few small water puddles, and common reeds which would obscure visibility - similar to Leagues of Legends tall grass. No other resources than roots in high density, and occasional coal underneath would be there. There will aslo be some occasional mushroom, some old bones sticking out of wet soil which could be "dug" and collected. Big rotting log/root few tiles long would offer big wood deposit when marked for digging. Creatures walking over mud would suffer movement speed penalty, as i mentioned in previous part. Mud would also prevent creatures from climbing it (or seriously slowing the process) unles it's reinforced or ladder/stairs is built. Player can order to reinforce the surface - placing logs or stone tiles. Easiest way to do that would be just by placing bridges. Once plueprint is placed it would require half of the original bridge resources (it doesnt need to be as strong as it is just lying on the ground). After building the model would be a bit different - few tight placed, pararel logs or several stone tiles (or one big in center). This would let creatures walk over mud with full speed. There may be of course separate dedicated option in future instead of using bridge construct. Maybe if there is an universal Upgrade function under rightclick (mentioned under wall improvement topic) it could be used here aswell. Another serious aspect of mud block would be creatures drowning. It would not drown concious creatures - only the creatures that fall unconcious on not reinforced mud tiles - reinforced would have no special effect. Fallen would sink into the mud, and after some point it wont be possible for imps to take them out and bring to bedroom. The process itself can be as simple as speeding up the timer counting time untill death, or immobilising/rooting fallen until he dies. There would be no corpses either - no ghosts, bones or leather or any other loot - all is lost in the mud. Occasionally when enough corpses is drowned in an area - 4x4 i think is good - then elemental or earth golem would awake. It would be hostile to all monster (except other golems). Big, resistant, slow, strong and ugly. Mud itself need water block to stay wet - at most two blocks away (preferably in radial form instead of square). If the water is removed, something gets in the way (some blocks are replaced) or block is dug and moved away from water, the mud will dry out after few minutes and become regular dirt. The process can be reversed - every dirt block can turn into mud block if left untouched directly next to water for long time. It would turn into mud only one block deep however, and no diagonal transform. In order to spread bog player would have to move it further manually. This mechanics would of course lead to transforming lake shores, but i don't think it's bad - mud is rather common sight next to water. As the area is constantly wet and watered so plants would love the place - antroots would grow there by themeselves - but much slower and in less density than in farms. Ocasionally roots from neighbouring blocks could grow over mud blocks. Bog earth could be used to boost farms production - just dig mud and place it where you plan your farms, then build farms on mud tiles. Just remember to keep water vein directly next to it. Irrigated bog farms would produce crops 1,5 time faster than usual. 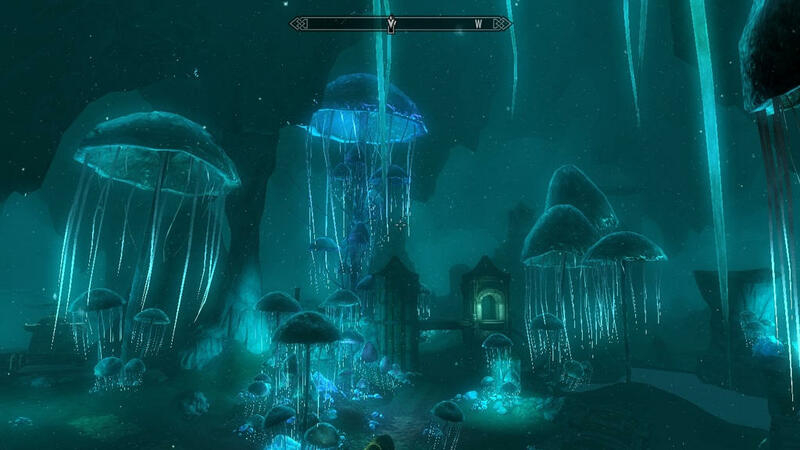 Main thing here is patch of overworld vegetation together with some ruins lit by lightbeams coming from hole in the ceiling surrounded by shallow ring of water. Big oak, or blossoming cherry with some grass would fit here well. Some old walls and pillars, stonehenge or Easter Islands Head for ruins example. What it would do? Actually nothing, just looking good. Sometimes it would contain treasurechest by the tree in the center, or some other artifact. Ruins and tree can be left alone for decoration, or destroyed for large bunch of resources. Had to break in few post, because of image limit per post. Just as the name says. Mine with wooden beams at the walls. One lagre chamber and few smaller at sides with some chests. Some scattered rusted rails nad carts - useles, but provide some good portion of iron when sold. In the main chamber there would be mineshaft - either on the floor or by the wall. Sometimes it would be guarded by Rock Golem, or there would be a chance to wake one while working in the room. Shaft entrance can be repaired with wood and ropes and two imps can be assigned to work there (mine can be also disable from rightclick menu). 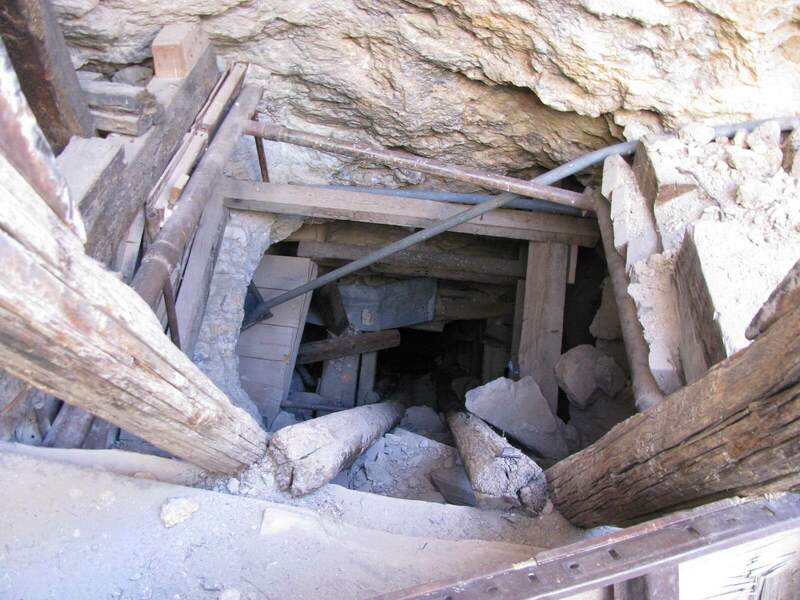 Mineshaft would act as infinite source of minerals. Type of mineral would be random - stone, coal, iron or gold. 75% of resources mined would be that mineral, rest 25% would be randomly other minerals. It may also be used as source of some rare minerals like gems, which would not spawn across dungeon, but have to be mined slowly in places like this. The shaft or quarry itself woud come in two forms: underground, and open. The first would be just deep hole in the ground with ladder at side or tunnel entrance at the wall. The secong would be more quarry like with some scaffolding at the wall or wide hole in the ground with visible bottom. The look of mineshaft could depend on the resource it's on, or just random. Mineshaft can't be completely destroyed, but can be damaged which would disable it from functioning. Rest things in mine could be destroyed like any other piece of furniture. The mine itself can function as standalone room, that cannot be built by the player. Everything inside of it would act as room upgrades - support beams, rails, carts, pile of rubble plus some room wallpaper texture with pickaxe marks. Those upgrades would be only eyecandy, or dismantled for resources, unless railscarts will be implemented ingame. Simple room with simple use. It may be used as regular library/laboratory if it gets implemented. Otherwise it can serve as some eyecandy ruins and some tresure storage . Lot of bookshelves at the sides covered with spiderwebs, few chests, and central part. In the center could be just big decorative research desk, some conjuring altar, huge seeing orb, simple statue or some clockwork mechanism. Here i think of some smaller backyard version. Both geyser and volcano would function all the same - only the liquid they produce would be different. Generally those are indestructioble holes in ground, or small cones above it, pumping liquid to the surface. Small area around them would be a little altered - some mineral rock formations around liquid pools, different colours, scorched ground etc. Some smaller geysers (nonfunctional - visual effects only). Constant fiery/steam geyser particle system would mark it's position. They would constantly produce water/lava blocks around them - let's say up to two blocks away from center, and maximum to the same level as the geyser. This way cone/hole remains visible, and it wont flood whole dungeon. It can be used as source of said liquids in case if neighbourhood have poor supplies. I personally played one map with literally 5 water blocks at all, and few maps with only one tiny pool of lava. If such geysers would spawn, then it would be possible to gather from it and us at will. Of course it would generate liquid quite slowly. Everyone know what it is. I see it in game as a patch of sand or gravel on the rocks. Often near water. Apart from looking different it would be unclaimable and no structure (no dirt as well) could be built on this nonsolid ground. It would be kind of obstacle player have to deal with. To get rid of it you have to dig it out. No big proble since it's usually only one block deep. But beware as in larget patches you may encounter Antlion. This is a creature that digs itself under the sand and makes funnel around it. If something steps inside it will slide down to they monster's maw, without chance to escape on loose sand. Imps would be consumed whole at once, but larger creatures will have chance to defend if they wall in the trap. If you're digging the sand you may aswell dig side of Antlion nest and face it in regular combat. Its almost immobile and will be much more vulnerable ouside of it's trap. If one is patient he may try luring homeless Antlion into new location, where he would eat few nosy rogues if they try to come through. It would be rare place where bunch of monster live along with their leader. It would come in few variations depending on what beast live inside. It could act as unbuildable room with unique wall and floor texture for each type and some decorative constructions around. Usually leader/boss would come out of den when his minions are slain. Once the boss is slain we can claim the area and have previous boss on our side, and some tresure chests. - spider hive: several big spiders wander around entrance. Giant spider, or Spitaur would act as a boss. Spiders would have ability to climb up the wall all the way up/down no matter how hight it is. Everything around is covered in spiderwebs. Entrance is round dark hole with silky walls. Some cocoons with eggs or creatures for later consumption inside. - warg lair: just a big wolves... very big. Blood pools, half eaten animals and some bones. - dragon den: fire salamanders or lizards as a watch. Once slain cave dragon is ready to kill. Lot of scorched bones and earth. Lava seams on walls. Fiery light coming out of den entrance. - Goblin cavern - pack of stupid greenskins and on big chieftain/shaman. The easiest challenge of all. Campfire, few toches, skull pile and some fancy totem. - Naga (snake men) lair - bunch of smaller one and the leader - either big one with fancy trident or some nasty battleturtle rider Generally we around. Some mose and water pools. Stone entrance resembling ancient ruins. I think many more creatures can be put in this "Den" mechanics. I may come with something more later. I lost few of ideas... maybe will remember them back soon. Anyway, let me know what you think. I already have stated 'this game needs biomes'. And, while I don't have the energy to read all this, I can already tell you have suggested some great ones. 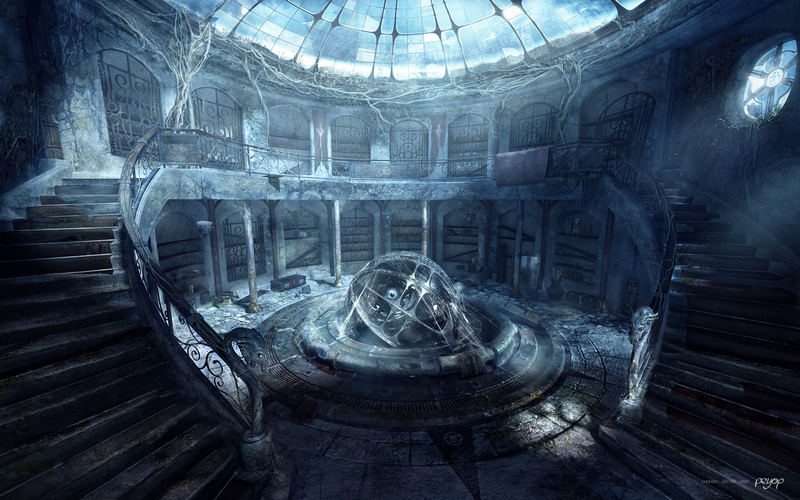 I love the idea of the forgotten library. Also, I am totally aware me stating I having read this lofty post because I don't have the energy makes me an utter hypocrite <.< >.> <.<. I'm aware there are biomes suggested, but i think biomes are covering more or less whole area of the map leaving no blank space. Im also aware that my idieas are very similar to biomes. What i meant here is those above, are "exceptions" from surrounding biome - rare, small islands you encounter regardless of the biome around it in similar way as catacombs or impanzee rooms are generated. Well, whatever the terminology, I dig it. So what do you think we should we do with these? One idea could be if you claim the tile it's on that it could be used like a trap. Enemy creatures that pass by it would become slowed and poisoned, just poisoned, or possibly disoriented. This effect would also affect your creatures trying to claim it until they did so. Likewise, if an enemy attacker kills the shrooms and captures the tile, you would have to reclaim it and face the effects again. These mushrooms would never be able to be truly destroyed because when they are attacked and seem to be destroyed, they release spores which would regrow the mushrooms after a certain period of time. Looks like another potential food source to me... Also a light source as suggested by the OP. Or can be burned like wood. The main idea for them was to be kind of renewable resource - what you do with that resource is another matter. Food, weapon, building material or just decorative light posts. 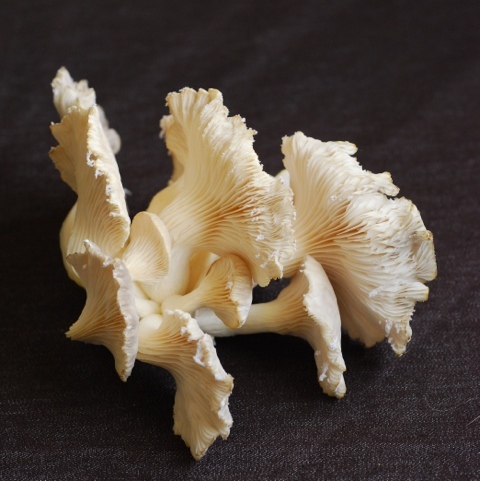 - Small mushrooms could be used as a food source favoured by some creature maybe? - Ground in mill into shroompowder could be used as ammo for poison gas traps. - or temporarily poison weapons. - Small mushrooms or mycellium could be used to build lair for "slime blob" or "giant slug" creatures for example. - mushroom powder could also act as a fertilizer (or be used to produce it) allowing player to regrow roots (or trees in overworld), or just speed up farmland production. Big mushroom would occasionally burst clouds of spores around it (or keep thin constant aura of those). Spore cloud would spread mycellium on dirt blocks within certain range (or just plant small shrooms directly on fertile land). Spores would also cause short term side effects to all, friend or foe, nearby creatures (decribed in main suggestion). Depending if this should be important resource, or just an addon, its vulnerability should be adjusted. - If regarded as valuable strategic resource, then big mushroom should be hard to destroy, and once destroyed, eventually regrows over time, but cannot be erased completely. - If considered semi-common, not very valuable, it could be cut down to obtain 1 (70% chance), 2 (20% chance) or 0 (10%) big spores, and replanted in more suitable place, or even used to start big plantation. In both cases attempt to cut big shroom would releae high density spore clouds with strong side effects, and possibly release/anger snail guardian if one is present. Thats a few simple uses for it, that do not require big change to the game. What do you think? Hmm, all good ideas. I am going to add some extra nature models into the game at first and just use them as a decorative object. Then when we got some of them in place we could perhaps know what to do with them. Current time: 19-04-2019, 09:22 AM Powered By MyBB, © 2002-2019 MyBB Group.